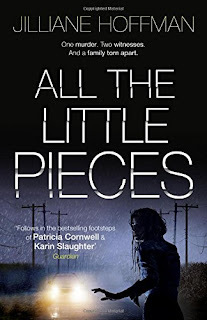 All the Little Pieces begins at a million miles an hour as a girl runs through a cornfield trying to escape from her attacker. She sees a car and thinks she's saved, but the driver of the car has had one too many drinks and is afraid to open the door. The backseat passenger sees it all clearly, though. The only trouble is she is just a toddler. Faith Saunders was that driver of the car; driving home from her sister's birthday party with her young daughter, Maggie. If she calls for help after seeing the girl, questions will be asked. Questions that could see the end of her already fragile marriage - what kind of mother would drive over the limit with her young daughter in the car? So Faith keeps silent, but Maggie spots the victim on TV one day and tells her dad that she saw her. Now Faith has to explain why she kept quiet and understandably face the wrath of the public and the victim's family. I really felt for Faith; she may have made a bad decision but she was trying to protect her daughter by not opening the car door. It's a pity she hadn't been thinking of her daughter before she got in the car after a few too many drinks. As soon as I felt sorry for Faith, my rational brain reminded me of her failings. We've all made bad decisions and we all know how alcohol affects the human brain, so I really felt as if I'd got inside Faith's head through the writing of Jilliane Hoffman. 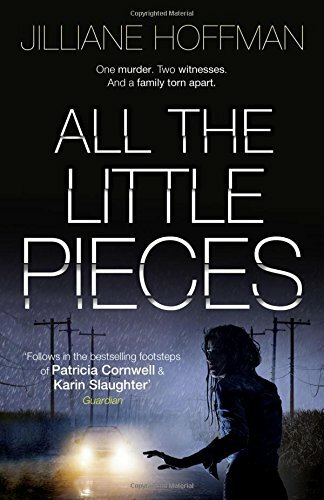 All the Little Pieces is a fast paced read that gives us a really good insight into police procedure and court proceedings. Although I wasn't hooked as such, I found it hard to put down in places especially when Faith started to crack and boy, did she crack! I thought I would never get my heartbeat back to normal after Faith's wardrobe breakdown. I'd really like to read more from Jilliane Hoffman so I'll be looking out for her previous books. I received this book from the publisher, HarperCollins, as a prize from a Goodreads giveaway.